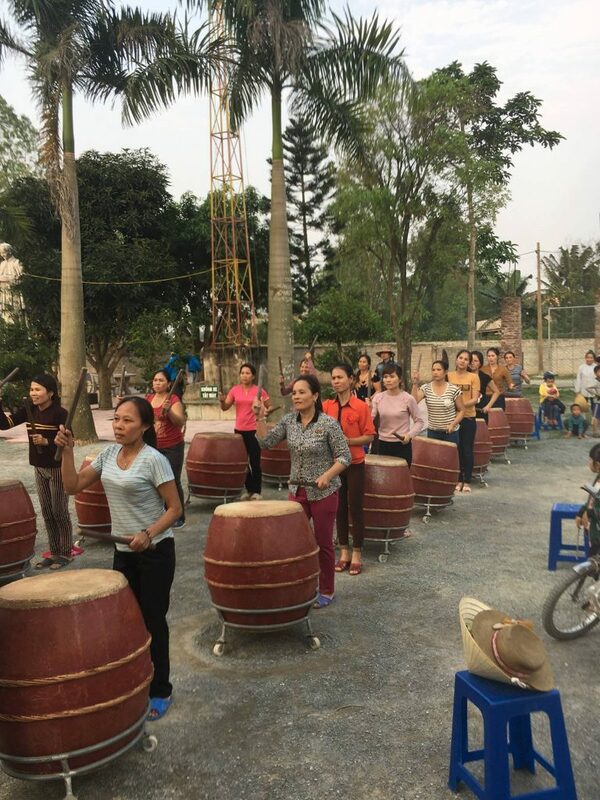 The last week in Lent might seem an odd time to travel but my diary was relatively light and so a couple of weeks ago I locked in the opportunity to come to Vietnam. 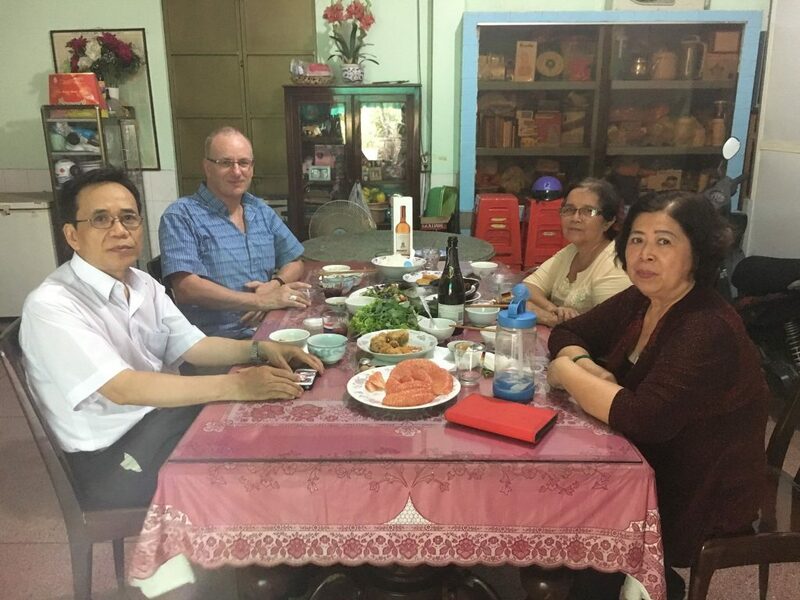 I’m here visiting the families of our two seminarians Vui and Trung. 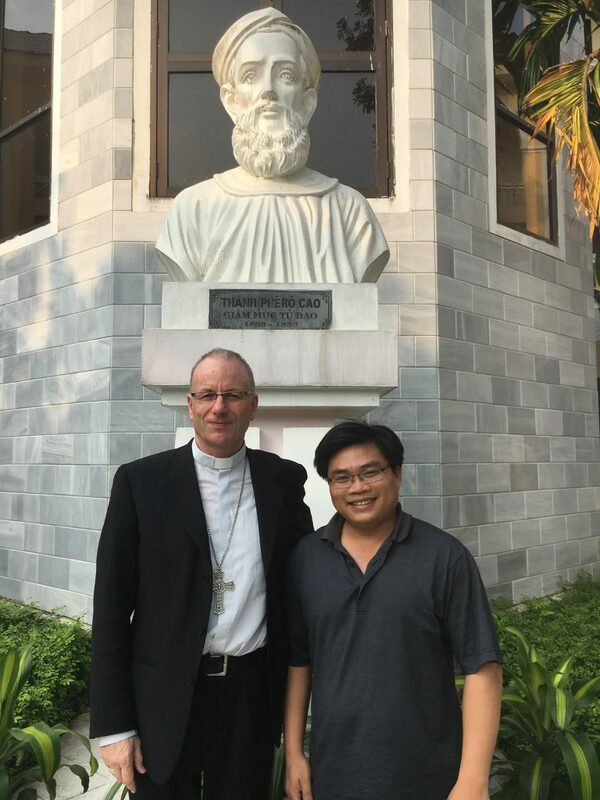 I have also interviewed Zung who is currently studying English and will join us next year. 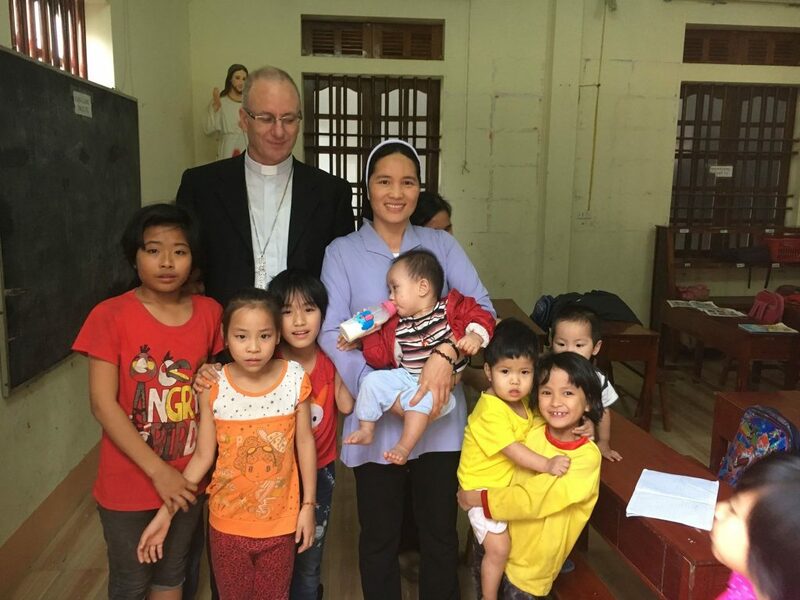 The families and communities I have visited are bursting with faith and hospitality. 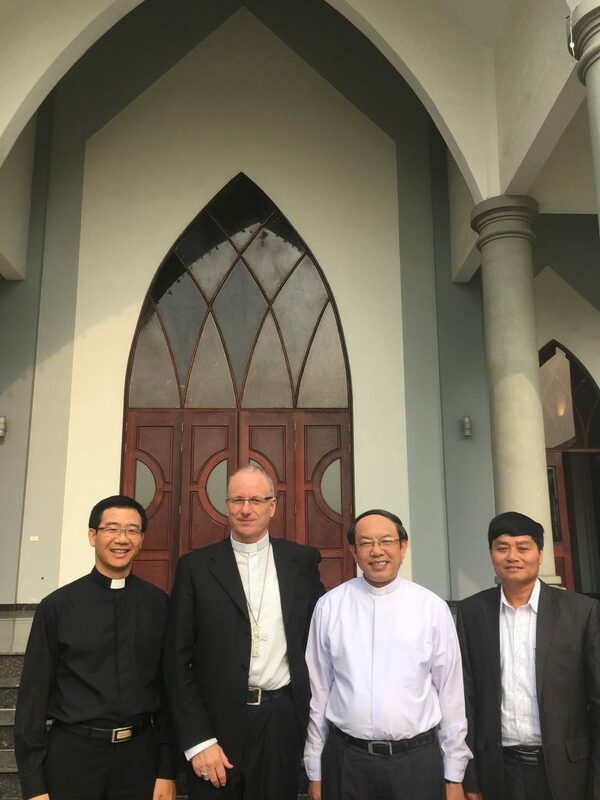 The province of Vinh is a Catholic power house. 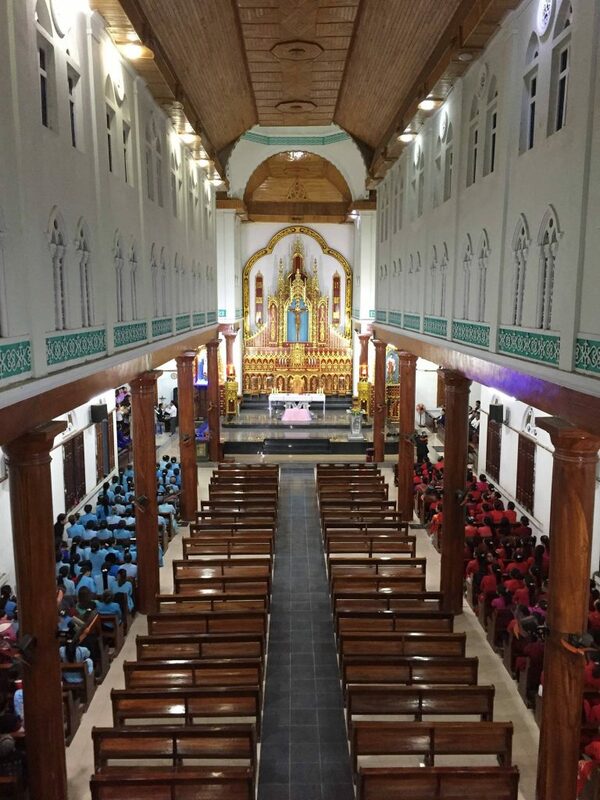 The more the one party state communist government tries to control and intimidate Catholics the stronger they grow in faith, as it is there – in vibrant parishes – that they find their freedom. The Church here seems to be both resolute and humble. One young man I chatted with at length who wishes to join a Religious Order, said “all I want to do is serve people. 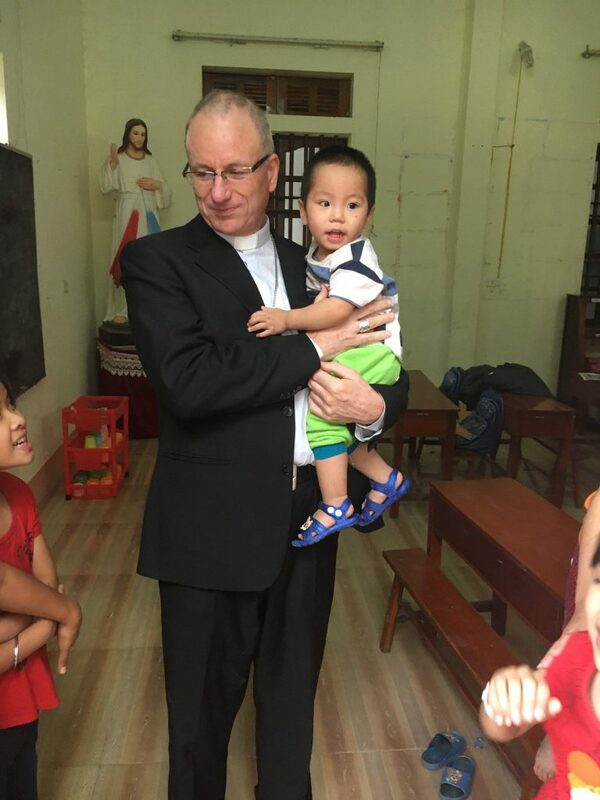 How or where is secondary.” That’s the spirit of generosity that breaths joy into a vocation. 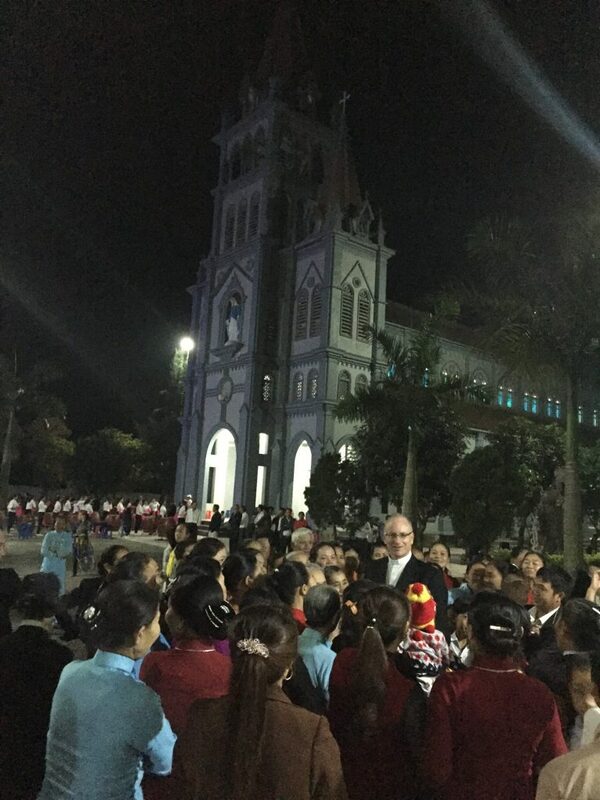 Last Saturday I was asked to preside and preach at the Vigil Mass in a Vinh parish. 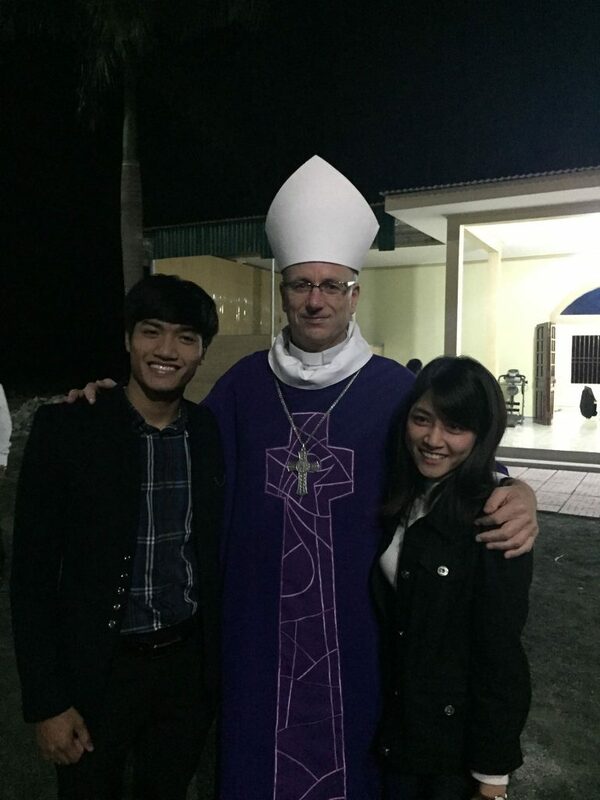 I knew participation at Mass was high in this area of Vietnam but what awaited me was beyond any expectation I had. 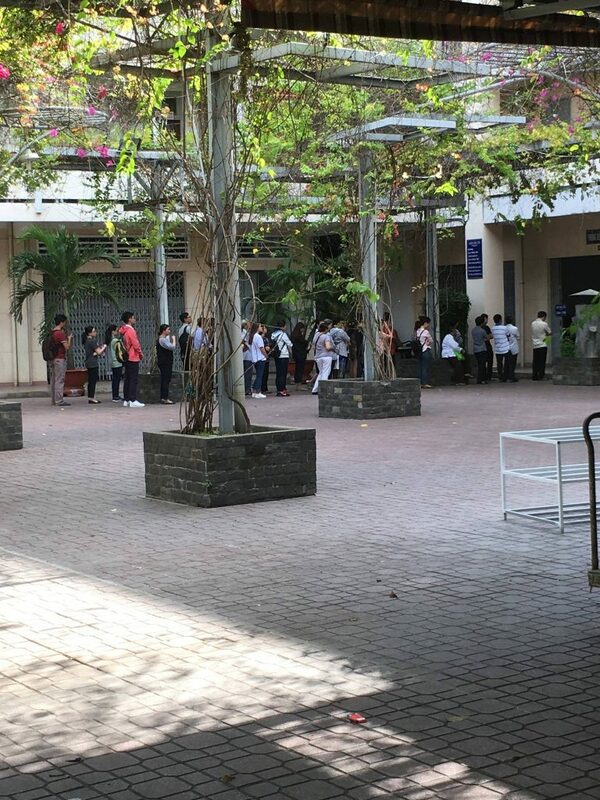 Numbers themselves can impress but it was the spirit of the people’s participation that struck me most. 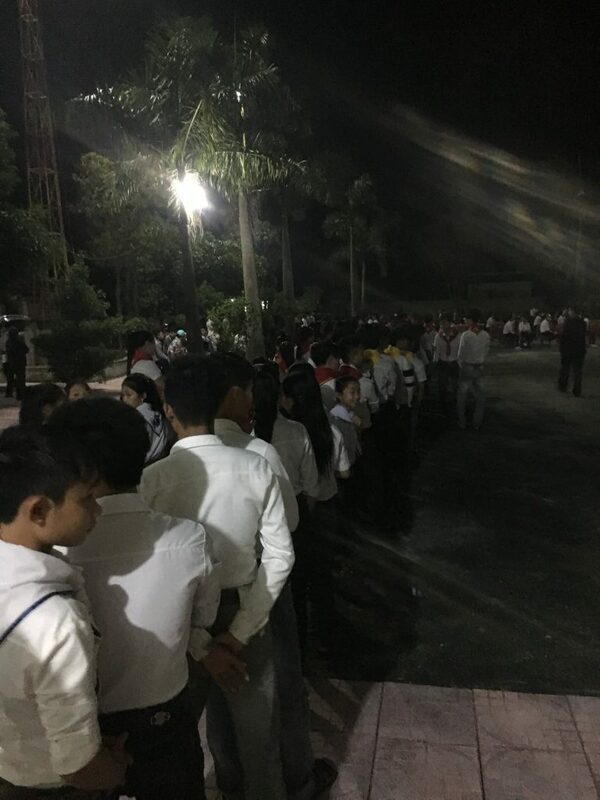 In this area (and others) of middle Vietnam everyone goes to Mass. The weekend question is which Mass shall we go to, not shall we go to Mass. Thus entire families witness to each other in order to then witness to and serve the wider community. 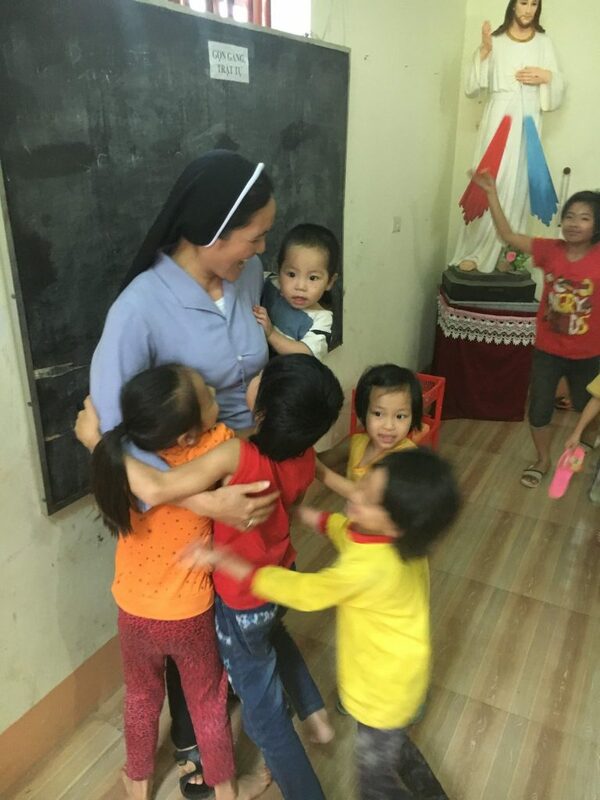 While Catholic identity is hugely strong in Vietnam there is not a ghetto mentality. Tea is shared with all neighbours no matter their religious or even political persuasion. What about us in New Zealand? 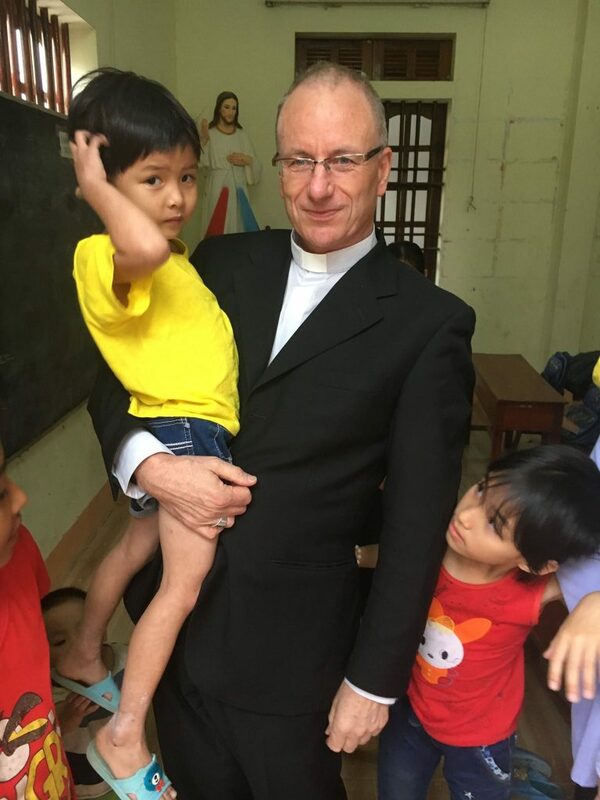 If those of us who get to Mass once a month came every second Sunday and those who come every second Sunday came every Sunday our parish communities would be transformed remarkably. Yet we can let so much get in our way, or God’s way. I’ve been noting in my Lenten homilies that the obstacles or better put distractions to Mass are not bad things. In fact, they are good – sport, sleeping in, coffee, friends, work, shopping – but we do need to ponder deeply on why good things are not substitutes for God. The creation story itself teaches this: all the garden of Eden was good but two trees were essential (they were reserved to God because God, far from wanting to exclude, wanted to remain essential to us; at work among us). Even the good cannot replace the essential. So, if we get our one hour of Sunday Mass a week (where God is essentially present to us) fixed in our schedule then all the rest falls into its proper place and order.